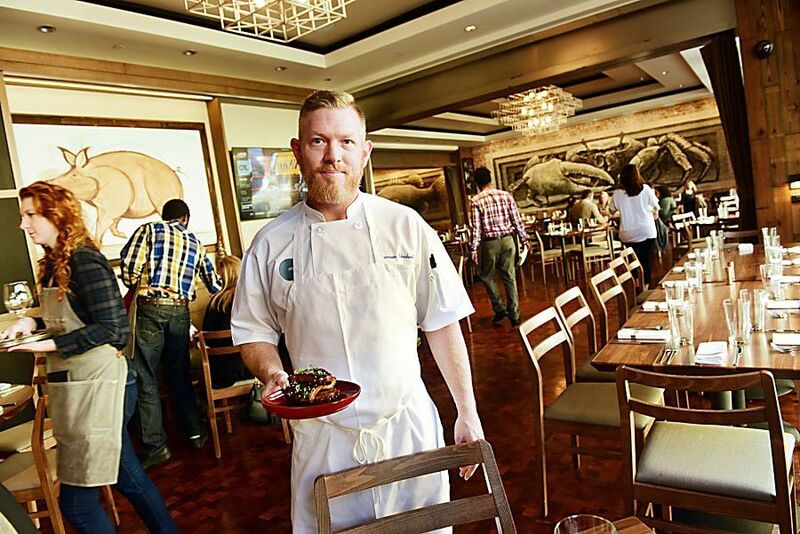 Executive Sous Chef Darren Chabert serves a dish at Meril, voted Best New Restaurant. Owners Ted Neikirk, Greg Dietz and Jammer Orintas look over one of the pizzas that make Theo’s Neighborhood Pizza the Best Pizza Restaurant in the city. The newest addition to Emeril Lagasse's group of restaurants, Meril has served contemporary American cuisine in the Warehouse District since September. Despite the eatery's cavernous interior, warm lighting, exposed brick walls and parquet flooring make the space inviting, and the diverse small-plates menu is reminiscent of an indoor food truck fair. There are boudin-stuffed tamales, a fresh burrata salad and roasted lamb and pappardelle pasta flavored with saffron — just a few of the genre-bending menu items to tempt the taste buds. A daily happy hour from 4 p.m. to 6 p.m. is an after-work treat for the CBD crowd and those on their way to or from New Orleans Saints home games at the Superdome. Dining at Vincent's is like pulling up a chair to the table in your Sicilian grandmother's kitchen. Don't have a Sicilian grandmother? No worries. With an extensive menu featuring seasonal produce and fresh Louisiana seafood, large portions of everything from tomato bruschetta with reduced balsamic vinegar to espresso-dusted tiramisu, more than 100 wines by the bottle and another 20 by the glass and the ambient sounds of Dino and Frank crooning 1960s love songs, you'll feel like a part of the famiglia by dessert. It's possible to have a very formal meal at Nirvana, with deferential black-clad waiters whisking heavy dishes of saag paneer and tandoori chicken across the jewel-toned dining room where you sit in a sturdy gold-flecked chair. But it's much more fun to stop in for a casual weekday lunch, where the $11.50 buffet is still one of the better dining deals on Magazine Street. On the buffet, there's generally a nice mix of meat-centric and vegetarian options, with rotating offerings such as crowd-pleasing butter chicken, aloo palak (potatoes and spinach), pillowy naan and those crispy little Indian fried vegetables, and there's almost always rice pudding or mango custard for dessert. 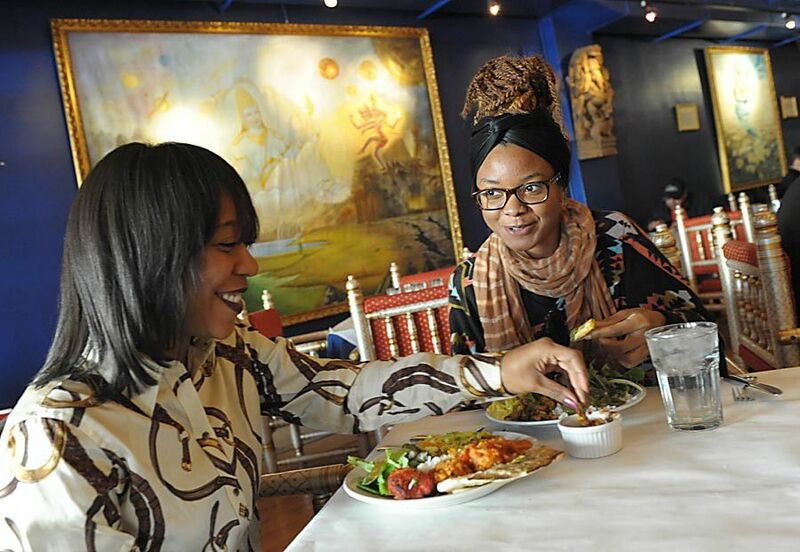 For the die-hard Indian food enthusiast, the restaurant also caters banquets and events in its Shalimar Room upstairs. Two and a half years is enough time for people to get over the fact that one of New Orleans' best new restaurants of the last decade isn't dedicated to classic Creole or modern Louisiana food — it serves hummus, baba ganoush and pita, staples of nearly any neighborhood Middle Eastern joint. But Shaya is so much more: Persian rice studded with cherries; hummus topped with curried cauliflower bits and caramelized onions; and tabbouleh so mouthwateringly fresh it redefines what a dish of parsley can taste like. Combine all that with puffy pillows of hot pita bread straight out of the oven to your table, and by the time you're done, you'll have dozens of empty small plates in front of you. Last year, Shaya won the James Beard Award for Best New Restaurant in America; this year, the restaurant's Zachary Engel won the Beard for Rising Star Chef of the Year. As the surly, sleepy mayor of Magazine Street's deli domain, Dan Stein's titular shop has reigned as one of the best places to get a sandwich and one of the best delis for several years in the Best of New Orleans. Stein's sandwich selection is brimming with meats — in overstuffed Italian hoagies and Reubens and on its own specialty lineup with new classics like The Mumbler (prosciutto, Taleggio and arugula on ciabatta) — as well as daily specials and breakfast sandwiches. Inside Stein's you'll find cans of Cheez Whiz, shelves stocked with deli standards, several beer fridges that aren't playing around, and, if you're lucky, a piece of candy waiting for you at the register. The lunch buffet at Dooky Chase may change a bit day to day, but diners usually can count on gold-standard red beans and rice, fried chicken, gumbo, lima or butter beans and whatever greens Leah Chase and her staff choose that morning — along with hot peach cobbler. There's also a more formal Friday dinner, but lunch is the time to go get filled up for about $20. And Chase's annual "green gumbo" lunch every Holy Thursday is one of the hardest tickets in town to get — but worth it. Call the restaurant to see when it'll be taking reservations for 2018. Pho real? Yes, pho real. This year, readers gave the cozy Lower Garden District cafe its first No. 1 spot on the BONO list. Meals at Lilly's often begin with plump and fresh spring rolls, followed with steaming bowls of restorative pho, grilled meats starring in banh mi and alongside bun bowls and rice plates with colorful vegetables — all washed down with strong and sweet Vietnamese iced coffee. A New Orleans restaurant that names itself for one of the city's most beloved (and critiqued) foods darn well better make good gumbo, and Gambit readers say Gumbo Shop delivers consistently. The restaurant has been a perennial presence in this category for more than a decade. It has a full menu of Creole dishes from red beans and rice, shrimp Creole and po-boys to fish florentine, crawfish etouffee and bread pudding in whiskey sauce. It offers two gumbos: the dark roux-based seafood okra gumbo with shrimp, crab, onion, bell pepper, celery and tomato; and the chicken and andouille gumbo made with okra and chicken stock. The French Quarter location offers New Orleans charm and courtyard seating. Theo's Neighborhood Pizza serves thin-crust pies, sandwiches, salads and wings to families in Uptown, Mid-City, Metairie and Elmwood. The counter-service dining room is low-stress for weeknight dinners, and pizzas come in winning combinations, with a new featured pie each month. (One Gambit staffer's order: "The Expert" with spinach, garlic, and bacon, add pepperoni.) There also are several drinks-on-the-cheap specials, including $1 draft beers during New Orleans Saints games, $1.50 domestic longnecks on Monday and half-off bottles of wine on Wednesday. Blue Oak BBQ had been open for about four months when our readers chose it as their second favorite barbecue spot and second favorite new restaurant in last year's Best of New Orleans readers' poll. This year, it climbs to the No. 1 barbecue spot. Owners and pit masters Ronnie Evans and Philip Moseley honed their skills and menu at pop-ups and then at the kitchen nook at Chickie Wah Wah before opening their restaurant in Mid-City. Now fans line up at the counter to order meats cooked with low heat for as long as 14 hours in combo plates featuring sliced or chopped brisket, pulled pork, sausages, chicken and St. Louis-style spare ribs. Popular dishes include sandwiches and nachos topped with a choice of meats and barbecue sauce. The restaurant is comfortable and casual, with rolls of paper towels and plastic squeeze bottles of sauces on the tables. There are regional beers on tap at the bar, and the patio is dog-friendly. Surf and turf. Caprese. Hot sausage. Roast beef (you'll need a whole pack of napkins). Everyone has his or her favorite po-boy at this rambling shack off Bayou St. John, where New Orleanians (and more and more tourists) stand in line to get amazingly delicious butcher-paper-wrapped sandwiches. Jay Nix and Justin Kennedy's sandwich shrine also is a testament to post-Hurricane Katrina resilience; its reopening was a cause for celebration. (If he's not in the kitchen working the line, you often can spot Justin walking around the neighborhood with his bulldog.) Don't sleep on the annual "Thanksgiving po-boy" (served only in November), or the Reuben sandwich and fried dill pickles any time of the year.